The thing I love most about kitchens is that there are TONS of different ones. Each house, big or small has a this unique room. One of these days I would love design my own! Until then I can definitely use some inspiration from these pictures below and of course come up with my own for my own kitchen. What’s your favorite? I’ve heard nothing but good things about this Vitamix mixer. I want to start making some green smoothies this year and this is THE tool to have! 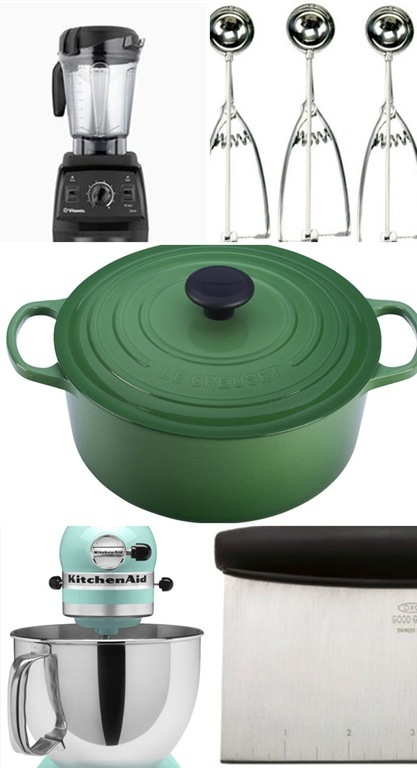 Oh the beloved Le Creuset. I want one. In this color. Or any color. Do you have one? I swear I saw one of these at Goodwill one time. At the moment my brain went dumb and I didn’t pick it up. Yeah, not cool. This is a pretty simple tool. When you have to get your chop on, you will want to have one of these in your drawer. Scrape it up. If your looking for more inspiration follow A Place for Us on PINTEREST. 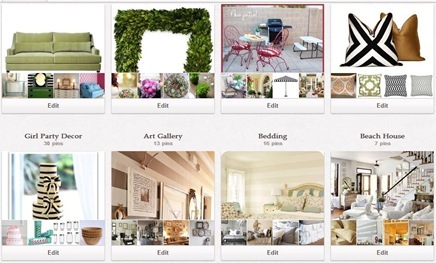 There you will find tons of boards for your home projects, recipes,home décor items, holiday ideas and much more! Our kitchen just got a mini makeover and my favorite thing about it (this sounds lame) is that we put the garbage and recycle cans under the sink. That seemingly insignificant thing has made a big difference in my tiny kitchen! IF you still smell mildew you may have a water leak! I love my fridge bins! Makes my fridge so organized! 🙂 I love all my kitchen gadgets and tools. I couldn’t live without my KitchenAid Mixer! 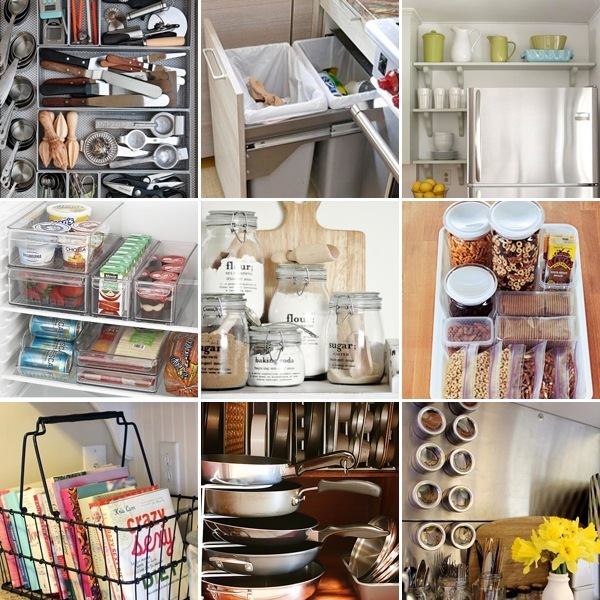 I NEED one of those pan organizers very badly!! I love the way the measuring cups are organized too….why didn’t I get a deep drawer in my kitchen when we were building?? Oh if I had only known then what I know now about the things a person needs in a home.